Technology is rapidly progressing. And one of the most impressive branches of technology is that within the automotive industry. From seatbelts to ABS brakes to hybrids, technology in vehicles has already come a long way from the days of the Model T. In the next 10 to 15 years, though, the future of the automotive industry is estimated to advance even more dramatically. An article by Andrew Anagost in Autodesk’s Line//Shape//Space magazine recently discussed a future-thinking automobile company who is fielding crowdsourced ideas from tens of thousands of users, and taking “an unheralded open approach to vehicle design and manufacturing.” From smarter vehicles to 3D printed cars, here are some things to look out for in the next decade or so in the future of the auto industry. Many cars on the road today can already connect to the internet and smart phones, allowing you to place a call or ask for directions hands-free. But futuresmart cars are about to gain a whole new level of intelligence. According to an article in CNN Money, Mercedes-Benz is developing a system that will learn drivers’ “schedules, tastes, and even your moods. An example of how the car might learn your habits, for example, is by changing the radio on its own depending upon the time of day – i.e., kids’ tunes when you’re dropping the little ones off to soccer practice, and traffic reports in the morning when you’re commuting. Not only may cars be able to learn about you, but they may begin to starting talking amongst themselves, too. Imagine a situation where another driver does something dangerous – runs a red light, swerves into your lane, or makes an illegal turn. While you might not see it happen, with vehicle-to-vehicle communication, your car will be able to notify you—or even take action to redirect your vehicle—to avoid an accident. 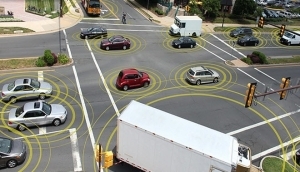 According to Green Car Congress, combined V2V (vehicle-to-vehicle) and V2I (vehicle-to-infrastructure) systems could potentially address about 81% of all-vehicle target crashes. Often times, people get behind the wheel when it’s unsafe to do so – perhaps they’ve had a drink, or perhaps they didn’t sleep well the night before. And other times, people get behind the wheel thinking that they’re perfectly fine, only to experience an unpredictable health emergency while driving. Future automobiles may be able to monitor drivers’ vital signs, helping them to avoid accidents. For example, a new model of vehicle being developed by Nissan would be able to detect alcohol in a driver’s sweat, sounding an alarm if erratic driving occurs. While the above technologies all demonstrate what cars may be able to do, there’re also exciting developments in regards to what people will be able to do in their own backyards, so to speak. While car manufacturing used to be confined to large factories, 3D printers are allowing for the establishment of micro-factories. These micro-factories will provide for quick design, development, and implementation of the latest and greatest in automobile technology. 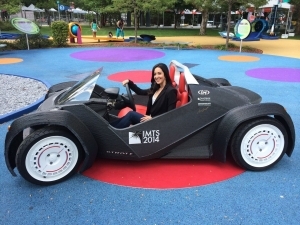 While it’s unlikely that all cars will be made by 3D printers in the near future, taking manufacturing out of the warehouse—and putting it in the hands of the consumer—may yield some pretty remarkable innovations.